The Trail Rocket is a new racing trail shoe from Scott running. For those of you who don’t know about Scott, they are an outdoor sports company (skiing, mountain biking, motorsports) company that has been in the running business since 2006. Their shoes have evolved considerably (in a good way!) 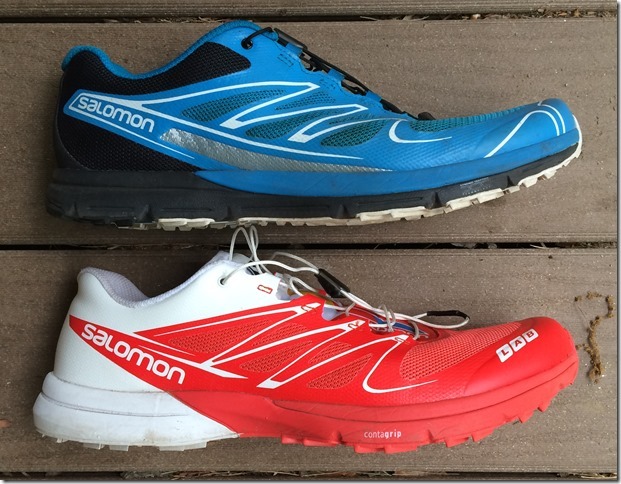 over the past few years, and the Trail Rocket looked like a solid entry into the lightweight trail shoe market. 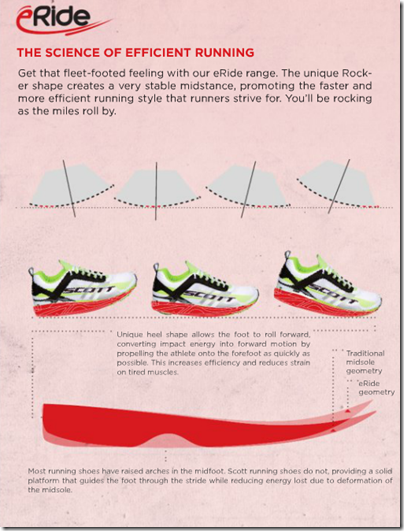 The Trail Rocket is based on their T2 Kinabalu Trail running shoe. 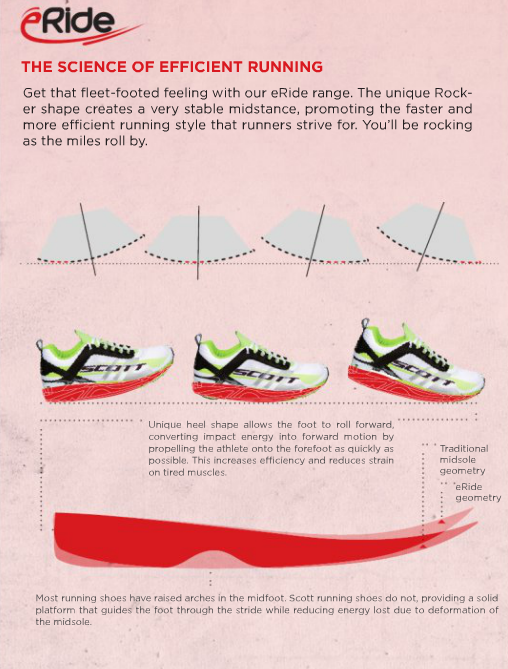 It has the same technologies of the Race Rocker and sports a lightweight sole, but it’s a 5 mm drop shoe (19mm heel, 14mm forefoot) versus the 11 mm drop of the Kinabalu. The Trail Rocket also weighs in about 1.3 oz lighter than the Kinabalu (9.8 oz for the Kinabalu and 8.5 oz for the Trail Rocket in men’s size 9). While I could really feel this rocker effect with the Kinabalu, I felt it less so with the Trail Rocket. The outsole uses a wet traction rubber which is a lightweight, high abrasion outsole compound that provides very good traction on double and single track trails but I don’t yet know how it will function on wet dirt (no rain lately in California). The Trail Rocket does not have a rock plate. The upper of the Trail Rocket is a closed mesh throughout that keeps debris out and maintains breathability (though I don’t know how well it drains – again the no rain in California issue). The upper has TPU overlays that provide a light seamless upper which one could run in barefoot (though I did not as I am not a big no-sock runner). The sandwich mesh tongue protects the foot well from pressure points. The Trail Rocket runs true to size. I took an 11.5 in Kinabalu and 11.5 in the Rocket (I take 11.5 in most shoes). The fit is good throughout with ample room in the toebox area. This area is not huge, but enough to know that your toes are not being smashed together. No heel slippage as the fit in the heel is very secure. With a low drop and light weight the Trail Rocket was a joy to run in. It’s great how it goes from the road to trail with ease. 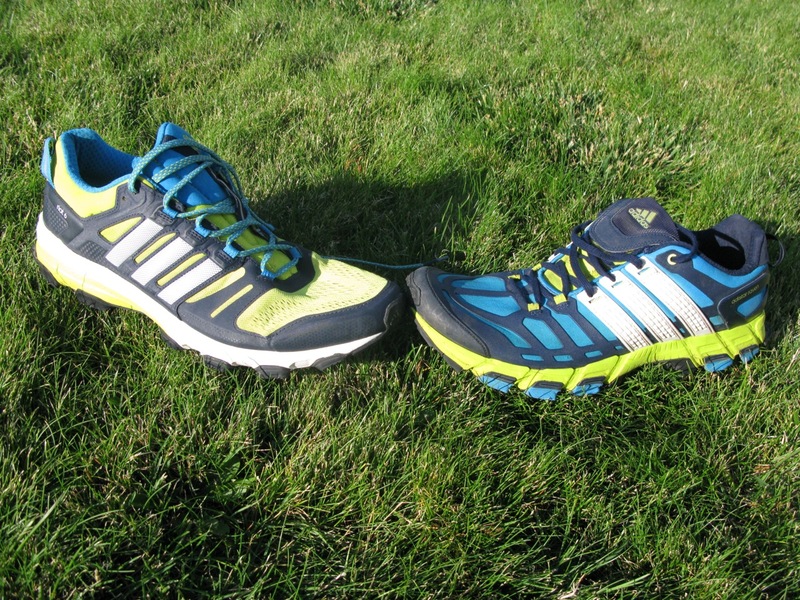 The traction is great on the trails and works well on road workouts. It has adequate cushioning for both the trail and the road. I really like the Trail Rocket and I have not found the lack of a rock plate to be an issue running on the trails. However, without any rain I can’t yet tell how this shoe will handle in the mud. 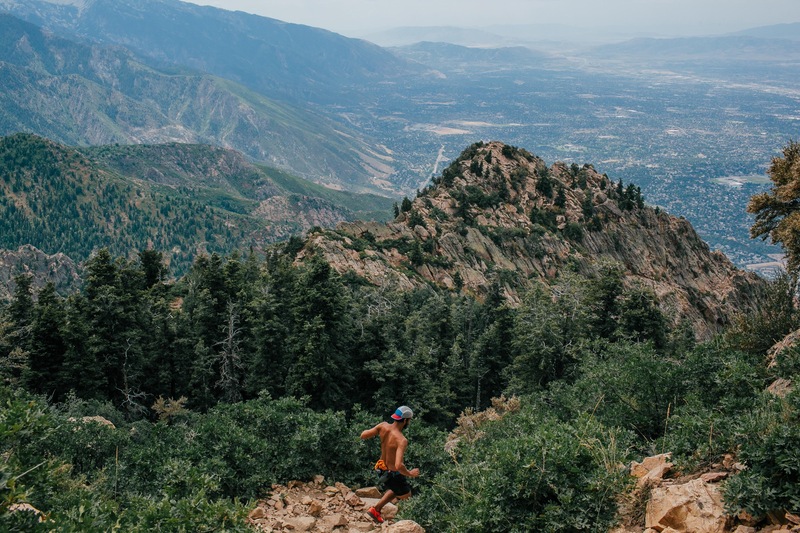 Elite Ultrarunner Sage Canaday posted a video review of the Scott Trail Rocket. He was formerly sponsored by Scott (now with Hoka). 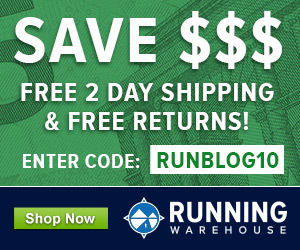 The Scott Trail Rocket can be purchased at Running Warehouse and Amazon.com. 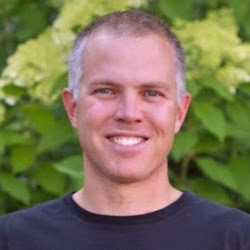 George Harris is a 58 year-old runner from Manteca, CA. He’s been running for 36 years, most of that as a soldier in the US Army. His first pair of real running shoes was the 1978 Nike Waffle Trainer, which cost the outrageous price of $45.00. George currently runs 70-75 miles per week. “reduces strain on tired muscles”? This blog used to have at least a little scientific skepticism of such unsubstantiated claims. I didn’t write the review Rodger, it was by a guest reviewer, and the line says “Scott claims that…” the shoe does those things, not that the shoe actually does those things (“claims” being the key word there). I think it’s pretty clear that George was just pointing out Scott’s marketing claims about the shoe (hence also why I added the image from their catalog). Of course it’s typical unsubstantiated shoe company marketing BS. 90% of shoe marketing and technology probably is. I try to keep my own editorializing out of guest reviews. Rodger, totally agree with you and Pete. The only thing I have felt with either Scott shoe is that eh eride tends to have you land more on your midfoot which is a good thing and does provide some push off. This could make one more efficient in running. I think we’ve probably run in lots of the same shoes over the years. I started in 1974 with a pair of Nike Finland Blues. Anyhow, I’m a scientist and we measure running economy in my lab, so I get my hackles up when people make claims like Scott Inc. does in that ad. As I recall there are now 5 papers showing that rear foot is at least if not more efficient that mid foot landing and none showing midfoot more efficient than rearfoot. Midfoot landing might provide other benefits (and risks) but it does not improve efficiency in the lab. In my opinion, repeating a dubious and unsupported claim tends to promote the idea, even if it is false. 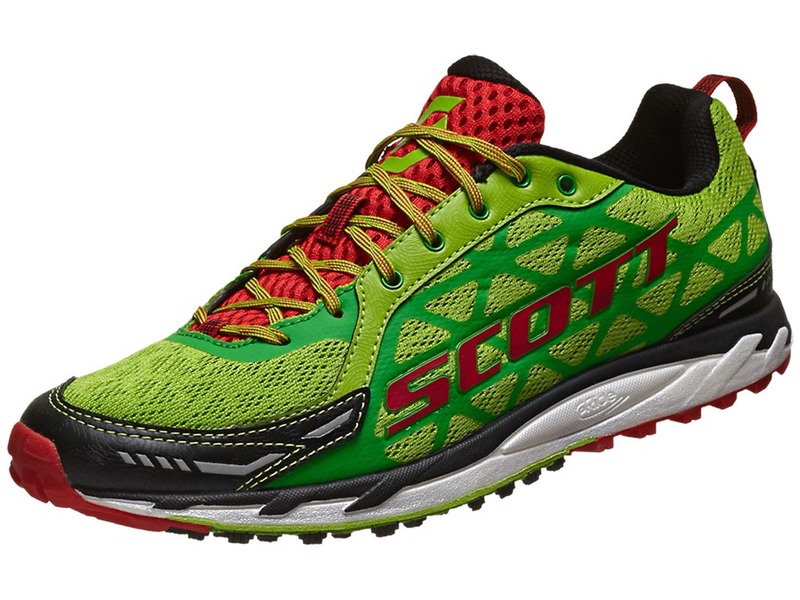 If Scott thinks that their shoes improve running efficiency and wants to advertise it, they should hire a lab/grad student to scientifically test the idea. The general public (and the Federal Trade Commission) would not find it acceptable if Ford said that their new F150 pickup gets better mileage than a Prius. In my opinion, we should hold shoe manufacturers to the same standard. If Scott etc. just want to say our shoes “feel great” and have “groovy colors”, that’s fine by me. Couldn’t agree more Rodger. Part of my motivation of leaving that in there was not to promote the idea, but rather to make the claim known to my audience which includes a lot of intelligent and savvy people. Sometimes repeating a ridiculous marketing claim has the desired effect of having people like you who are experts on the topic call it out. That fact that you did so makes me all the more happy that we left it in there. You could tear the claim apart far better than I. All that being said, there is something of a different feel in a rockered shoe like this. I have not run in this particular Scott shoe but have in an older road model and I would be very interested to know what exactly is going on. There is some evidence that rockered soles reduce plantar pressure under the forefoot (but increase under the heel) and might be useful in treatment of forefoot issues like metatarsalgia – see here link to ncbi.nlm.nih.gov. I wonder if this might be in part (besides the thick cushion) why my wife found benefit moving to Hokas for her neuroma. I have had so-called “metatarsalgia” for two years and was forced to stop running for five months this summer. 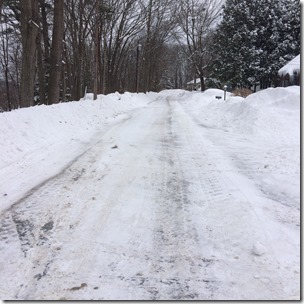 I could barely walk across the parking lot to work. As you might imagine I am very interested in this subject of toe-spring and forefoot rockers. I can find essentially no rational basis for these things, except for pretty marketing pictures like the one in the review. What evidence is there that preventing the toes from touching the ground during midstance via a permanent toe extension device, and trying to remove the long flexors from any involvement in running is a good idea or improves running performance? Seriously, I am really interested to know where in the world this came from and why manufactures keep pushing it (often with a much more extreme toe spring than these shoes appear to have). I don’t know the origin of the practice or the initial rationale (haven’t researched the topic enough), but the paper I linked does suggest reduction of forefoot pressure in a rockered shoe. I don’t know if my wife benefited from the cushion or the rocker of the Hoka (or both), but she was in pain on every run and first run in the Hokas was pain free. I tend to think of metatarsalgia as more general term meaning pain in the metatarsal area of the foot, whereas a neuroma is a specific problem with nervous tissue that may or may not be located in the foot. Hi George, did you find both the Trail Rocket and the Kinabalu a little narrow in the toe box for ‘true to size’? I’m comparing them to the Rapa Nui 2 Trail which is snug but has quite a lot of toe box length. I’m wearing a US 11.5 in both Scott and Hoka shoes. But may need to size up in the Scott’s. Be interested in your thoughts. Mine are falling apart after 20 miles. I’ve lost half the logs off the bottom and the green material is shredded. Apparently this is a known issue, if you pause your video posted above at the 11 sec mark you can see the bottom on that pair is shredded too. Pretty weak for $130 shoe.